College Weighing Plan for Situational Arming of DPS Officers | The Gettysburgian. 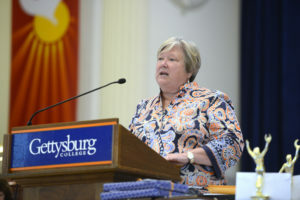 Every year since the 2007 Virginia Tech massacre that left 32 dead and 17 more wounded, Gettysburg College Executive Director of Public Safety Bill Lafferty and Dean of Students Julie Ramsey have reviewed the campus’s security procedures and made a recommendation to the college president as to whether Department of Public Safety (DPS) officers should be armed. For the first time, this year, their answer is yes. Under a proposal currently being circulated for feedback, DPS officers that hold state certifications would be able to carry firearms in specified circumstances such as during large-scale, open-air events on campus, when rallies or other potentially dangerous activity in town have the potential to spill onto college property, or in the event of an active shooter scenario. 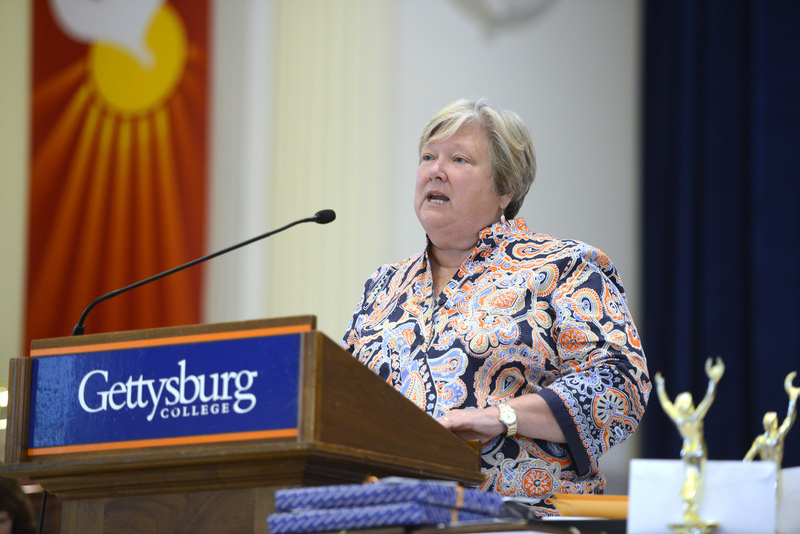 Lafferty and Ramsey intend to make a formal recommendation to President Janet Morgan Riggs in March, and Riggs is expected to make a decision prior to her retirement in June. “It’s not about who we are. It’s about where we are,” Lafferty said while presenting the proposal to Student Senate Monday evening. Lafferty pointed to a national rise in hate crimes and bias-related incidents since 2017 as evidence of the changing context in which he has weighed the issue. He also noted that, while DPS has a variety of local law enforcement partners beyond the borough including Cumberland Township Police, the National Park Service, and Pennsylvania State Police, the borough police’s staffing struggles — including its lack of permanent leadership since June 2018 — have made him concerned that there may be times in the future that local police would not be able to support DPS in staffing large events. However, he added that when the college has requested external support from local law enforcement to secure campus events, the answer varies. For example, when Robert Spencer, the Director of Jihad Watch, spoke on campus in the spring of 2017, an event that drew threats from a local Antifa group to “make Gettysburg Berkeley” (referring to incidents at the University of California-Berkeley in which protesters started fires, vandalized property, and clashed with police) Pennsylvania State Police was able to provide several troopers to assist with event security, but they emphasized they could not do that regularly, Lafferty said. The need to ensure the campus community’s safety — particularly at those sorts of events as well as at Convocation and Commencement — is the college’s primary motivation for considering the proposal. The proposal calls for the purchase of six handguns that would be stored in a locked safe at DPS headquarters. DPS officers trained and certified under Pennsylvania’s Act 235 would be able to access the weapons when authorized by the College President, Vice President of College Life, Executive Vice President, or Director of DPS. Typically, such authorization would come when a college threat assessment indicates that a particular event has the potential for violence to affect campus. Lafferty said that, over the past several years, he can think of only four circumstances in which firearms might have been carried: the Spencer event, Convocation, Commencement, and a 2017 incident in which students were advised to shelter-in-place when DPS received reports of an armed suspect fleeing local police near campus. Presently, 12 DPS officers are certified to carry firearms under Pennsylvania regulations. Act 235 requires recertification every five years after the initial certification, but Lafferty anticipates that DPS officers would undergo significant additional training. He suggested that a firearms expert would come to campus on a semesterly basis to conduct a refresher course. Some DPS officers have carried tasers since 2010, but they have not been fired in that period. Because DPS is not a sworn law enforcement agency, its officers would only use firearms to defend themselves or members of the campus community, not to effectuate arrests or otherwise pursue suspects. Although an external audit after the Virginia Tech shooting recommended that DPS become a sworn police department, the college has resisted that change. 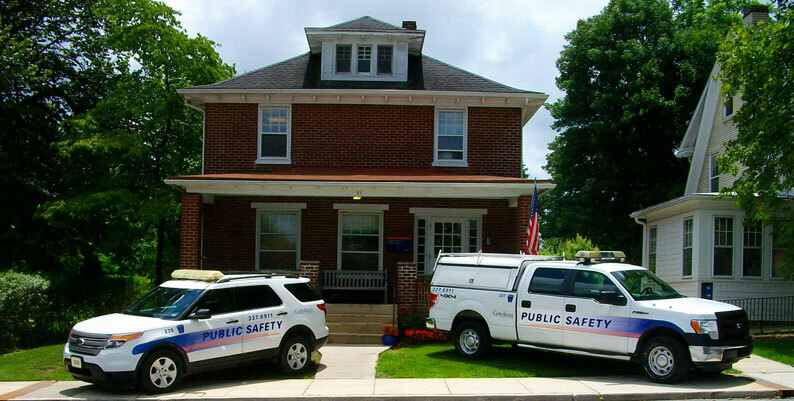 Lafferty pointed to Juniata College and Susquehanna University as examples of institutions in Pennsylvania with non-sworn security agencies that are armed, situationally or otherwise. He said that, from his perspective, two of the primary reasons he would not want to become a sworn police department are that it is a significant expense and that it would put his officers in the position of arresting students, which could hinder the positive relationship his department has sought to build through community policing efforts. With respect to cost, the proposal for situational arming of officers would cost approximately $7,500 at the outset with ongoing costs for training and equipment maintenance, Lafferty said. He added that the college’s general counsel and insurance company have reviewed the proposal and shared no reservations. At Monday’s Student Senate meeting, students asked questions and raised various concerns about the proposal during a discussion period that lasted about 45 minutes. Among the concerns raised was if and how the campus community would be notified when DPS officers were armed. 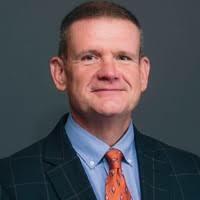 In an interview on Wednesday, Lafferty said that he thinks it would be possible in most circumstances to alert the campus in advance that armed personnel would be on hand at events or that a potential threat near campus could lead to an activation of the situational arming procedures. Ramsey added that she recognizes some people, herself included, are not generally comfortable around guns even in the hands of security personnel and that the college is sensitive to such concerns. Melanie Pangol ’21 said that some students on campus do not have a good relationship with DPS and would not be comfortable with officers being armed. Erick Cabrera ’21 emphasized that, in his view, it is important for students to know what to do in an emergency situation that might necessitate DPS accessing firearms. Growing up in Mexico, he said, he frequently heard gunshots from drug dealers and lacked the ability to do anything other than hide. “I believe there should be a program that teaches students how to prepare for situations like that,” he said. After the meeting, Student Senate President Nick Arbaugh ’20 said that he strongly supports the proposal. Ramsey emphasized that she is not excited about making a recommendation to arm DPS officers even in a restricted fashion, but she said that it is the college’s job to think about what is the best way to prevent and prepare for dangerous situations. From Lafferty’s perspective, he wants his officers to be prepared to address situations that may arise and pose a danger to the campus. News Editor Gauri Mangala contributed to this report.